Össur, one of the world’s leading orthopaedic and prosthetic manufacturing companies, recently hosted Australia’s first ‘Mobility Clinic’ for lower limb amputees and children with limb differences. 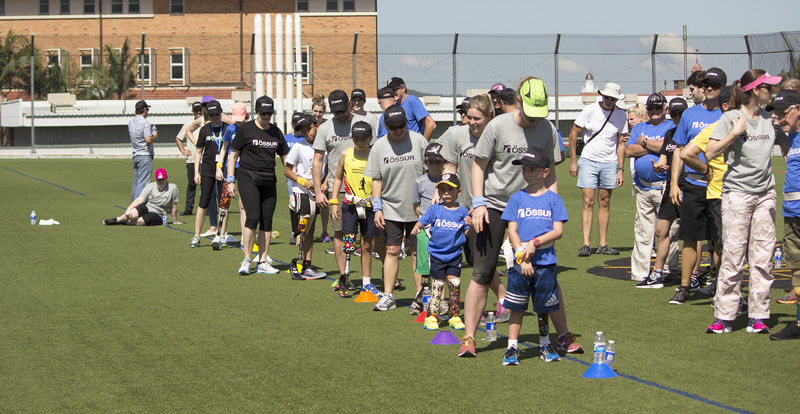 Held in Brisbane in September, this event combined a mix of presentations and physical activities as well as opportunities for participants to connect with other amputees of all ages and abilities. 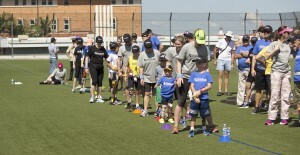 This successful event saw 62 adult and 15 child participants enjoy the chance to build overall mobility skills under the guidance of the world’s leading expert in amputee rehabilitation, Professor Bob Gailey from the University of Miami. Professor Gailey is a physiotherapist, author, researcher and lecturer with a passion for assisting amputees and children with limb differences to build mobility confidence and skills. Professor Gailey, known as Bob, was a passionate motivator who took the time to get to know each participant and provide them with personal advice and encouragement. Hearing Bob say “you can do it”, “don’t be afraid to try” and “well done, I knew you would achieve that” to individuals illustrated not only Bob’s interest in each participant but highlighted the intimacy of the event. The Mobility Clinic also included the involvement of physiotherapists, prosthetists and parents who had the opportunity to build upon their own knowledge and work one-on-one with adult amputees and children with limb differences. Over the course of the two-day event improvements in mobility, balance, speed and confidence was evident amongst all participants. As one therapist said “I feel so privileged to have been part of this event, support amputees, meet new people and learn some new tips I can use when working with my patients too”. Individual videos were taken of participants enabling Bob to personally evaluate each individual’s gait patterns. Bob then provided each person with tips and exercises aimed at enhancing their mobility, walking, balance and/or running skills. When reviewing the videos of children, Bob was overawed and enthused by what he witnessed. Bob remarked that “my American counterparts should be nervous about the future Australian Paralympian Team, as there are many children and young people here who already possess the skills to become Paralympic champions of the future”. Limbs 4 Life would like to thank Össur for hosting the Mobility Clinic and allowing us to be an event partner. In addition, we are extremely grateful to Össur for the very generous donation made to Limbs 4 Life; a donation that will allow us to continue to support Australian amputees and people with limb differences.